Seriously....just to have a selfie memory? 1. 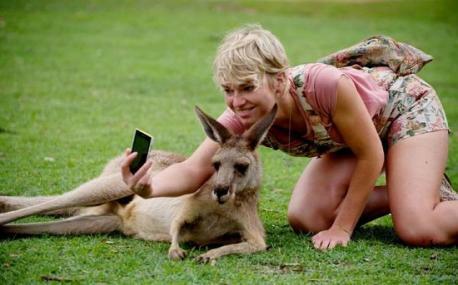 There is a time and a place for taking selfies, but when circumstances are such that selfie-taking involves putting an animal at risk (DON'T DO IT). 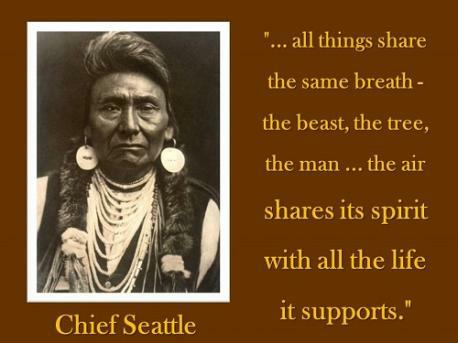 Do you agree with this statement? 2. 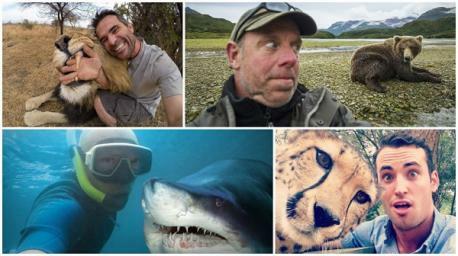 Are you familiar with these recent animal selfie stories (tragedies)? 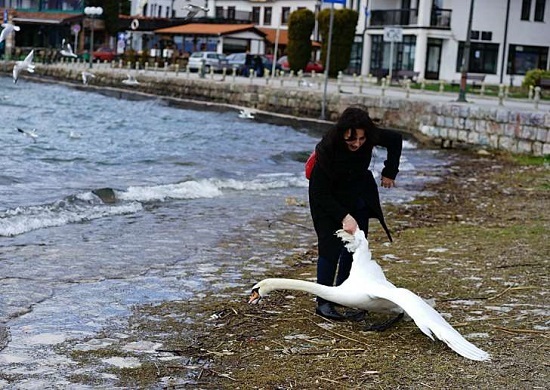 On March 8, 2016 photos have emerged of a woman pulling a swan out of the water near Lake Ohrid in Macedonia, so she could take a selfie with it. The swan reportedly died after the incident. Recently a group of beach-goers in Argentina pulled a small dolphin (a rare La Plata dolphin) up the beach to take photos. The dolphin died of dehydration after people crowded to touch and photograph it. In the same week at Yunnan Animal Park in China, two peacocks died after tourists picked them up to get a few photos. Earlier in the month a video had surfaced of a man pulling a shark out of the ocean and taking photos. In this incident the shark was returned to the water. In Costa Rica last year tourists totally messed up the breeding patterns of sea turtles while trying to take photos. 3. Let's recall the words of Chief Seattle of Western Washington's Duwamish tribe: "Take only memories, leave only footsteps." You don't need a picture of your face to have a memory. Do you agree with Chief Seattle's statement, "Take only memories, leave only footsteps?" 4. Would you risk the life of a wild animal just to have that selfie moment?